Lillian Margaret Goebel was born at home on the farm near MacNutt, Saskatchewan on July 18, 1950, to William and Emma (nee Rathgeber) Goebel. Lil passed away suddenly at the Brandon Regional Health Center on March 20, 2019, surround by her loving daughters, son-in-law and grandchildren. 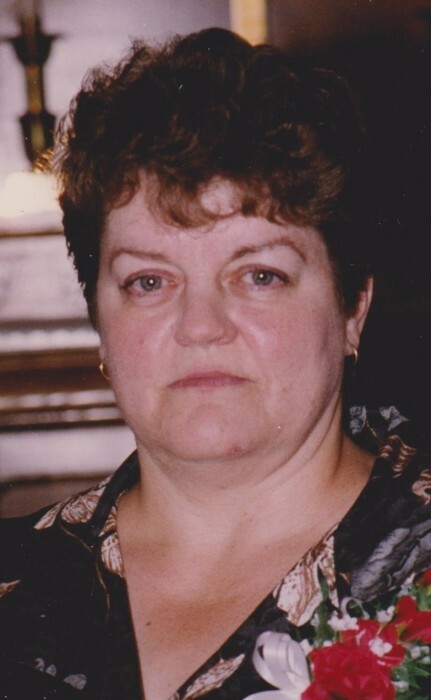 She will be dearly missed by her daughters Julie (Woody), and Errin, her grandchildren, Layne, Kellie and Emma, her sister Velinda (Jim), her brother Bill (Melva) and numerous nieces, nephews, cousins and friends. Lillian was baptized into faith at Immanuel Lutheran Church on August 6, 1950 and confirmed in April 1964. Her communion verse was John 14:6. She was predeceased b her Dad, William in 1989 and her Mom, Emma, in 2001. Lil was an incredibly friendly woman, a dear and loyal friend to many. She spent many hours on the phone sharing stories and news with family and friends. She could strike up a sincere conversation with any stranger who just wanted to chat. She adored her girls, Julie and Errin, her partners in life, laughter, work, faith and love. She was an incredibly proud grandmother and loved spending time with them. She loved telling stories about her younger years and passing her knowledge and life experiences down to them. She was extremely close to her sister and the two of them could spend the better part of a day sharing stories and laughing. She enjoyed animals and loved her pets, especially entertaining animals with unique personalities that made her laugh and gave her many stories to share. She was known in the community as a talented artist and especially for her amazing home cooked meals. Her infectious laugh and friendly smile could brighten any room. Her sometimes challenging journey in this life was grounded by her sincere and unwavering faith in Jesus, a faith she would boldly share with anyone. Mom, we love you and miss you dearly. Thank you for forming us into the strong women we are today. Thank you for always being there for us to give advice when we needed it. You will always be with us in our hearts, minds and memories. We know you will be smiling down at us from heaven, in the arms of Jesus and surrounded by loved ones, guiding us in the right direction, until we meet again.